BC Head Pain Institute was recently founded by Dr. Cheng Lun Wang in effort to provide proven relief to sufferers of head, neck, jaw and migraine pain. Dr. Wang has undergone extensive training to detect the source of pain and determine the most effective course of treatment. An common underlying cause of chronic head, neck and jaw pain is attributed to an imbalance of dental forces. Dr. Wang assesses each patient and provides an individual course of treatment. Many of those who suffer from migraines, chronic head pain, neck pain and ear ringing feel they must adjust their life to accommodate their pain. The team at BC Head Pain Institute is proud to offer cutting edge therapy to patients who have tried other numerous and unsuccessful treatment. The initial evaluation is a brief, but thorough exam that provides insight into the underlying cause of pain. At that point the team at BC Head Pain can determine a treatment plan. The therapy is comfortable and relaxing and does not require needles or drugs. If you have persistent headaches or migraines, the source of your problems may actually be dental in nature. At BC Head Pain Institute, we assess the balance of dental forces to provide lasting headache relief. Our treatment involves no drugs or injections, and it has provided relief to many of our patients. They are amazed about how well it works, and we love it when thank us for finally bringing them relief from the severe headaches that have hampered their lives. One problematic thing about persistent headaches is that they can have various causes. As a result, people seeking relief from debilitating pain will search high and low for a treatment that works. We’ve known patients who’ve had CAT scans and MRIs to try to figure out the source of the problem. They’ve tried various over-the-counter and prescription drugs, chiropractors and massage therapists. But if the source of the problem is an imbalance of forces in the teeth and jaw, our treatment can be the answer. BC Head Pain Institute’s treatment starts with a diagnosis. We will measure the opening and closing of your mouth and quantify the bite forces in your individual teeth. Diagnosis also involves a questionnaire that looks into the details of your symptoms, their history, and medical events of your past. For treatment, we use a combination of various therapies, including cold laser, microcurrent, massage, and ultrasonic therapy. None these are painful, require injections, or pharmaceuticals. Treatment might last a single session or as many as twelve sessions. Many patients have told us that their headaches prevented them from functioning normally in the world. They couldn’t go to work, school place, or parties. They couldn’t eat the food they wanted or enjoy a glass of wine. BC Head Pain Institute has made their persistent headaches go away and changed their lives! Because of the migraine pain that Emily suffered was stated as the prime motivator for Randy’s action, media as been very interested in obtaining and reporting the effects of migraines on a person and their families. Even though Randy did not suffer from migraines himself, there was clear indications that chronic pain such as this affects the psyche of all those around sufferer. As a frontline health care worker and head pain therapist, we see the affect pain has on the lives of our patients, and the profound impact it has on their loved ones each and every day. We all live with pain, in fact pain is good, and it is our evolutionary warning and defense to keep us from hurting ourselves. When we come into contact with something sharp, or hot, or when we over exert ourselves, our nerves carries a signal to our brain that is interpreted as pain. Our brain then tells our body to find a way to avoid the source of the pain; however, there is a physiological and psychological response to that pain that is extremely negative when pain becomes chronic. Physiologically, there are chemical and cellular changes that can make the patient more sensitive to pain stimulants. The feedback loop from the brain will tell muscles surrounding the area of stimulus to become more tense. Pain will cause a change, and thus an imbalance, in brain chemistry; cause more production of some brain chemicals and less of other chemicals. Pain will also cause a change in brain wave activities, causing anxiety and sleep disorders. This is Part 2 of a Dr. Wang’s Migraine series. Please click here for Part 1. With a myriad of changes, the diagnoses of chronic pain become very complex. When so many symptoms are presenting themselves, and tests show imbalance in areas of physiological, chemical and psychological, sometimes it is hard to determine which is the cause and which is the effect. That is why patients with chronic pain are often treated for their symptoms. Migraine is one of those pain diseases that is usually chronic, and can have many different sources of origin or cause. 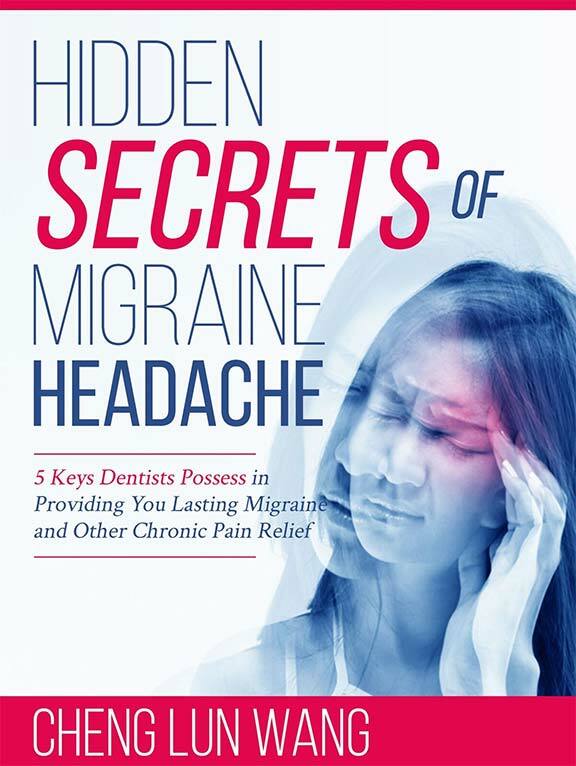 It is complex because there are many contributing factors that will culminate in a migraine attack, however the cause of the migraine is sometimes illusive. What most people refer to as migraine can have its origin from disease or injury to different systems. It can be a disease of the vascular system, or nervous system, immune system, or muscular or soft tissue injuries, or even psychological system. The fact that there are so many symptoms reported by migraine sufferers, and so many different triggers that precede a migraine attack, it shows that some cases of migraine can be multi-factorial. As stated before, when different treatment through different doctors are tried and are not successful, the fallback position is symptomatic treatment. Control of pain is attempted by giving all kinds of pain killers, muscle symptoms by muscle relaxants, sleep disorder by sleeping pills, depression that inevitably appear is controlled by anti depressants. The rest of the symptoms are addressed by using anti-psychotic drugs, or anti-anxiety drugs, or even blood pressure medications. The challenge of these patients and their families face each day is the prospect of unknown. Is this going to be a good day or bad day? Should I go out or not? Should I meet with my friends and socialize, or is it even worth it? They have been through so much treatment that have given them hope but end up letting them down. It is the physical pain that is limiting their daily activity or quality of life, but it is psychological drain that eventually makes them lose hope. My analogy for chronic pain is the situation of sleep deprivation; it is an unsustainable situation. The physical psychological impact on a person will eventually drag them into the abyss. Therefore it is really important to have a good support system. Our medical system need to give them the proper diagnosis and treatment if possible. It will only benefit the sufferer and provide them the opportunity to live a full life without having to change their habits because of chronic pain. While the patient is the main sufferer, his/her family can feel the emotional effects as well. Pain BC is one of a few organized support groups for chronic pain patients and their family.